Event Management/Planning-all events, Event Bar Planning/Management, Day Of Coordinator, Bartender, Wait staff. Specializing in Butler, and Silver Service. Experience working on land, and at sea. Tips Certified. General and Liquor Liability insured. I look forward to serving you and you're guest(s)! Cathleen will work with everyone and help plan your event. We hired Cathleen and Cora to be our bartenders for a college semi formal. They were so helpful with planning and figuring out insurance. 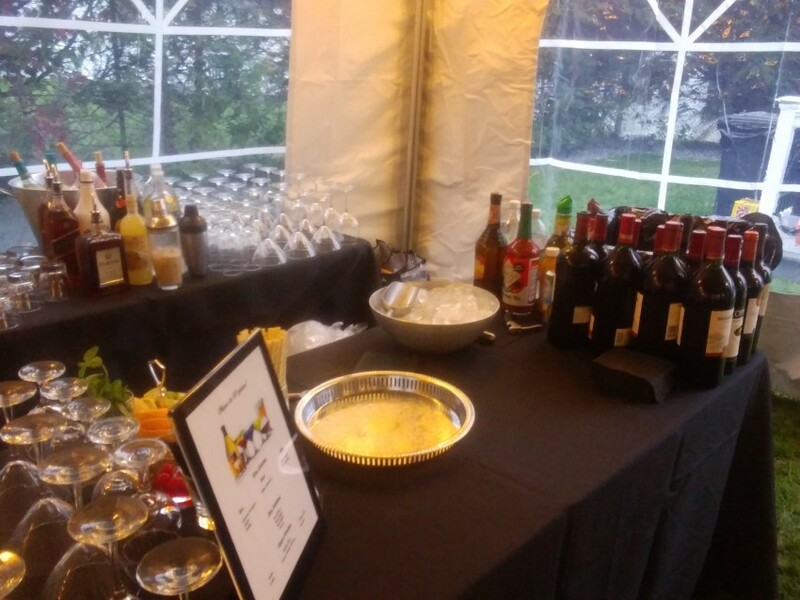 At the event, their set up was amazing and the drinks tasted great. Looking forward to working with them again for next year's semi formal! Thank you, Michael! Looking forward to the next event! Thank you, Mark! Cora had a great time! She sent me a picture. I was very impressed with your setup! Hospitality Goddess looks forward to working with you again. Please tell Rachel I said Happy Birthday! Thanks so much Cathleen - our event was a success! Thanks Anne! Looking forward to working with everyone again! Cathleen provides professional services for our holiday party. She arrived on time, helped with set up and made delicious cocktails. So lucky we had Cathleen and Margie on board. They helped with a lot of the setup (we had them 2 hours b4 start). They were completely competent, efficient, professional and friendly. Our friends commented on how much they appreciated how well the party ran — everyone wants to have their help! I had fun at my own party because of Hospitality Goddess! Thank you, Sandy! It was a pleasure serving you, and your guests! We look forward to working with everyone again! We had fun at your party as well! Your family were a great help, and appreciated! We were very pleased with the services received from Cathleen. We had a small party of 35 people and the price she quoted couldn't be beat. She worked with us even when we made a number of last minute changes. She is professional, communicative, and prompt. A number of our guest commented on how friendly and pleasant she was. I would absolutely use her services again! Thank you Lee. It was a pleasure meeting everyone, and I look forward to working with you again! Cathleen tended bar at my wedding. 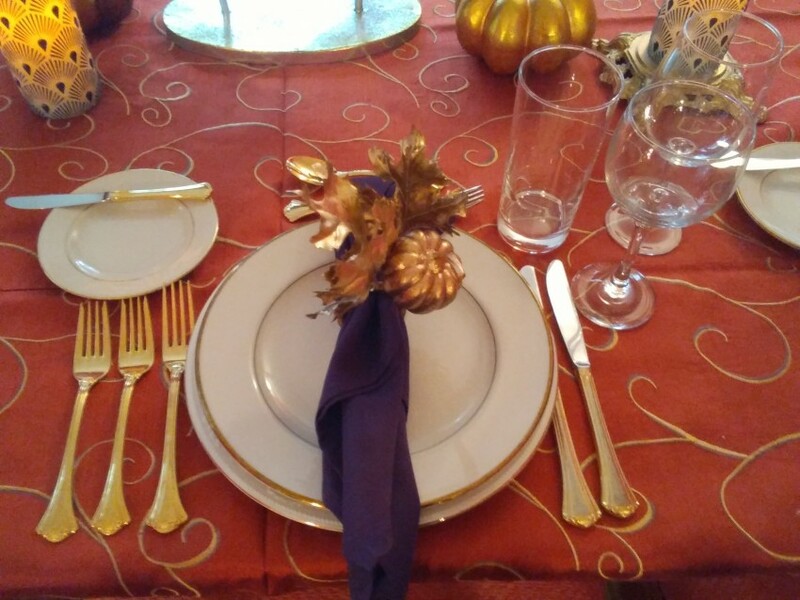 She was helpful and flexible as our plans evolved in the runup to the event, and my guests had a great time. However, she seemed disorganized, and both bar areas were left extremely messy despite explicit agreement that I’d hired her for clean-up. This led to extra work for the caterer and members of my family. Several other vendors (caterer, DJ, and venue) complained to me afterwards that the bar crew had been unprofessional. Thank you, Rebecca! Congratulations to you, and Christian!! Hospitality Goddess took care of everything, kept in touch with useful reminders and help with planning our event. Their service was perfect in ever way. I recommend them without reservation. Thank you, Joan! Everyone here looks forward to working with you again! A perfect addition to our event! The Hospitality Goddess was exactly that! Cathleen was professional, hard working, and a great bartender! It was such a relief to have her take care of every detail. I would highly recommend her. Thank you Mike, It was a pleasure meeting, and working with everyone. I look forward to working with everyone again! Cathleen has attended many events in our town and is always fabulous! Thanks for another smooth event. Thank you, Andrea! Always a pleasure serving everyone! Cathleen was always very quick to reply to my messages and was the first person to reach out to me to offer her services. It was easy to communicate with her and plan put what I needed for my event. If I need another bartender I would hope she is available! Thank you, Brendan! I look forward to working with you again! This was our second time using Hospitality Goddess and she was amazing both times! She is so personable with our residents and they truly enjoy talking to her. Thank you Erin! I look forward to working with you, and your awesome residents again! Catherine was excellent addition to our party! Always smiling and ready to serve! She was very organized and prifessional! Amazing woman! We were very happy with the selection of hospitality goddess!! Alice, It was such a pleasure serving everyone. What a wonderful group of people that you are so lucky to work with daily. I look forward to working with everyone again soon! Thank you! Marisol was our bartender. She was wonderful & professional! Thank you Melissa! Hospitality Goddess looks forward to working with everyone again soon! 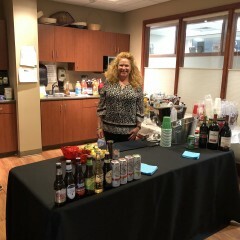 The Hospitality Goddess did an amazing job bartending and serving food at my friend's recent 40th. She has also provided services for me at a scotch tasting, Ugly Sweater party, and a barbeque. Cathleen and her employees are professionals and will make sure your event runs smoothly!!! They take care of your guests so you can socialize and enjoy yourself. I can't imagine a party now without the Hospitality Goddess!!! Thank you Jaime! Always a pleasure!! Thank you, Neil.! Such a great wedding! Looking forward to working with everyone again! Service was absolutely amazing. Everything and more we could have asked for. Highly recommend to others! Thank you, Jose!! Can't wait to come back! Everyone was so nice! As always, Kathleen's service was amazing! So helpful at our BBQ to have someone manning the grill, so we could entertain! Thank you, Jaime! So glad to hear everything went smooth, and you were able to entertain. Hosted my first event for my business, and Cathleen was well prepared. Handled every curveball with grace! Thank you, Mackenzie! It was a pleasure meeting you, and everyone at the company. Looking forward to the next event!! :). Cathleen was utterly dependable and professional, making our event even more wonderful. Thank you, Susan. It was a pleasure! Looking forward to working with everyone again! Hospitality Goddess should be your next bartender!!!!!! She was absolutely great!!! I barely even got to speak with her, but all of my guests said she was very friendly and had a wonderful professionalism about her. The fact that I was so busy and did have to worry about Hospitality Goddess was one of the things that made our wedding memorable!!!! I would recommend her to handle any event!!! Thank you Gretchen!! Congratulations!! What a great Wedding. I'm so glad everyone had a great time! I'm looking forward to working with everyone again! Cora was our bartender-she was pleasant and helpful and our guests really enjoyed her drinks. Cora seemed to enjoy the guests as well! Would definitely hire her/Hosp Goddess again-overall a very smooth and pleasant experience! Thank you Meghan. Cora said she enjoyed serving you're guests, and working with you. Hospitality Goddess looks forward to working with you again! Great experience and we plan to use again for our events throughout the year. Thank you, Aspen! I look forward to working with everyone again! Cathleen was friendly, punctual and a delight to work with. I would highly recommend her for your next event. Thank you, Paul. It was a pleasure serving you and your guests! Cathleen was unbelievably kind, helpful, and overall a wonderful add to our event! Her bartender was fabulous too. All our guests had a wonderful time. Cathleen has that sort of infectious positivity that everyone needs to be around. I would work with her again in a heartbeat! Thank you Kelly. You did an amazing job as Event Planner for your James Bond themed Birthday party! It was a pleasure to be a part of the celebration. I look forward to working with everyone again! My wife and I had booked Hospitality Goddess for providing bartending service at our Reception/BBQ. 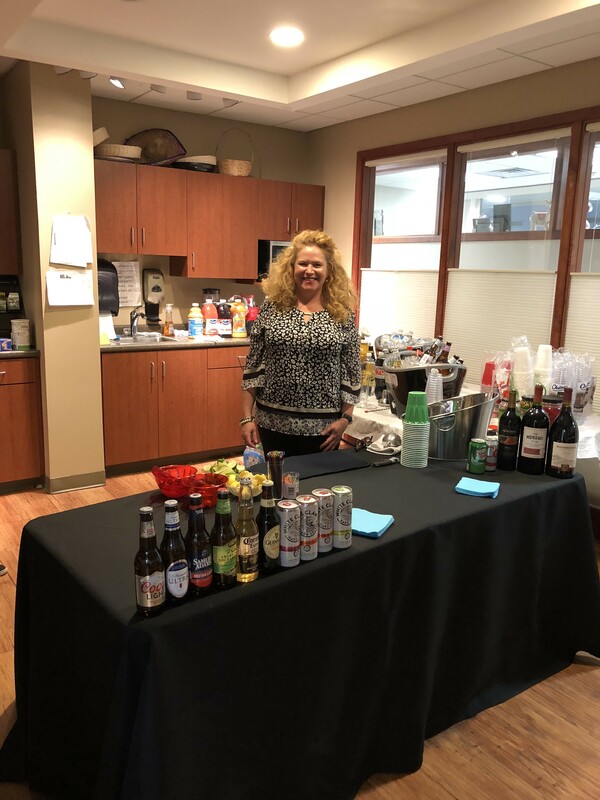 For having no prior experience of setting up bartending service, Cathleen of Hospitality Goddess helped to walk us through all of the finer details and was very prompt in answering any questions we had. She also gave us plenty of options and allowed us to pick out what would work best for us. As for the service itself, we found Cathleen to be very professional and welcoming. She not only arrived early, but ensured that everything was ready to go well in advance of our party. She was very kind to our guests and always had a smile, which we greatly appreciated. Overall, it was a great experience and I can honestly recommend Hospitality Goddess for your event needs! Thank you for the kind words, Nick. Working with you and Sam was such a pleasant experience. I look forward to working with you both again! Thank you Stephen. It was a pleasure meeting you and your family. I can't say enough positive things about Cathleen and her crew. My fiancé and I had an engagement party at our house for approx. 60 people and it went off without a hitch. Cathleen showed up early and quarterbacked the entire party. She knew exactly what she was doing and listened to all of my requests. My fiancé and I wanted a fun atmosphere where we could spend time entertaining - that's exactly what we got. Cathleen would even welcome guests as they came into the house when I was occupied with other guests. Can't say enough positive things- highly recommend. Thank you, Eric! It was such a pleasure meeting you, your fiance, and your wonderful guests! Looking forward to the next party! :). Cathleen did a fabulous job from beginning to end. She has years of experience and loads of common sense . She was hired to handle a 14 person plated sit down dinner that consisted of soup, 5 appetizers, and 3 entrees with potato and vegetables served individually to each person, plus rolls, dessert, coffee and tea. She handled hiring another server, Alex, who was super. From the minute she arrives at your home, you can breath a sigh of relief knowing she has everything under control. Cathleen handled setting the table, keeping the food warm, organizing cleaning, loading and unloading the dishwasher. She and Alex both served, packed up and stored leftovers in the fridge, washed all large pots and pans, stored and put away chinaware, cleared the table, swept the floor and took the trash out throughout the night. She opened the door for guests and greeted them graciously. I'm sure I forgot to list something, but that's because for the first time in many years, my husband and I were sitting at the table eating and not running back and forth to the kitchen missing part of the meal. Cathleen and Alex both mastered the art of being friendly with guests in a professional manner. Our guests ranged in ages from 7 to 75 years old. The seven year old said Cathleen was "the best waiter he ever had", :). Another guest said he would have a party at his house, but only if he hired Cathleen to handle it. Even the most critical guest said told me Cathleen and Alex were great. We would hire Hospitality Goddess's services again without hesitation, and we suggest you do the same. The rates were either comparable or better than others, and the response time was the best by far. I hired Cathleen before others even answered my request. Thank you for the review. I look forward to serving you and your guests again! Pleasure working with you! She is awesome. I recommend with no hesitation. She's a professional with great years of experience. We had 40 guests at our home and she handled it all with ease. She didn't miss a beat. Great choice. I was also very impressed with Gigsalads site. I placed my info and date of event and received 3 responses with quotes within minutes. Thank you Hospitality Goddess. Thank you for the kind review! 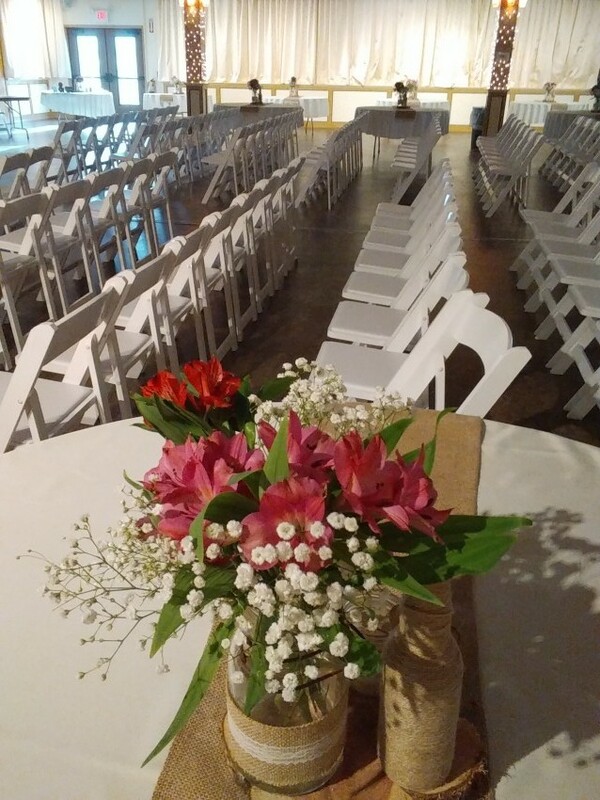 The time you took pre-planning, and organizing made the event flow quite smoothly. I look forward to working with you again. We used Hospitality Goddess for Thanksgiving. She was awesome. She made sure all of our guests had what they needed, followed directions, she was friendly and professional. She was dressed appropriately. We would definitely use her again. Thank you for having me at your home. It was an honor to serve you and your guests. I look forward to working with you in the future! Planning a bar? 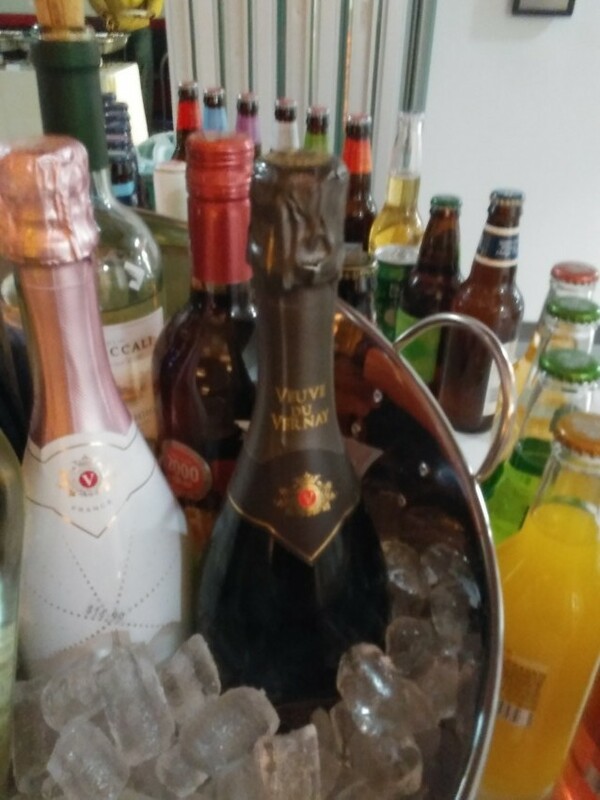 Hospitality Goddess will supply the alcohol for your event. Ice Bar, Ice Luge, Ice Bowl, and Kegs available upon request. Choice of Host Bar, Cash Bar, Split Bar, and Open Bar. All Bartenders are Tips Certified. 18% Service Fee for purchase of $500.00 or more. Many years of experience working within the Hospitality Industry. Knowledge of what my guests needs are before they know. Worked in all aspects of catering. Estates, homes, as Personal Chef, Butler, Assistant, and Server. Yachts, stadiums, and everything in between. Cathleen will locate rare wine, both "old world, and "new world," figure logistics, and have the wine delivered. Pairing of wine for brunch, appetizers, entree, and desserts is also offered. 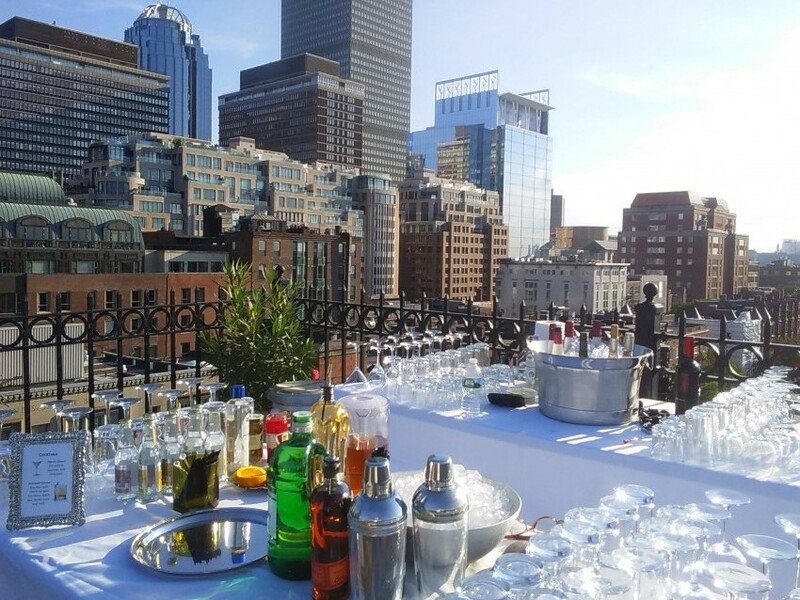 Bartenders: Stay with, and have control of their bar throughout event. Mix cocktails in a friendly, kind and gracious manner. Wait staff: Friendly, kind and gracious. Greeting guests, taking coats, cleaning after guests, will properly execute any type of meal service that you would like, pack and put away food at end of event. Cathleen is always available to answer questions and help plan your event. September 24, 2017 • 8:30am - 11:00am Birthday Party-Rehobeth, Ma. July 08, 2017 • 12:00pm - 6:30pm Wedding-Holliston, Ma. June 10, 2017 • 6:00pm - 10:00pm Private Event-Jamaica Plain, Ma. October 01, 2016 • 4:00pm - 7:00pm Private Residence-Plymouth, Ma. September 08, 2016 • 1:00pm - 4:30pm Corporate Event-Norton, Ma. August 21, 2016 • 11:30am - 4:00pm Gloucester, Ma. June 25, 2016–June 26, 2016 • 8:00pm - 12:00am HEBS-Cambridge, Ma. June 25, 2016 • 4:00pm - 10:00pm Wedding Reception-Worcester, Ma. March 10, 2016 • 7:00pm - 10:00pm Fundraiser-Needham, Ma. February 25, 2016 • 7:00pm - 8:00pm Private Residence-Norwell, Ma. February 10, 2016 • 7:00pm - 8:00pm Private Residence-Boston, Ma.